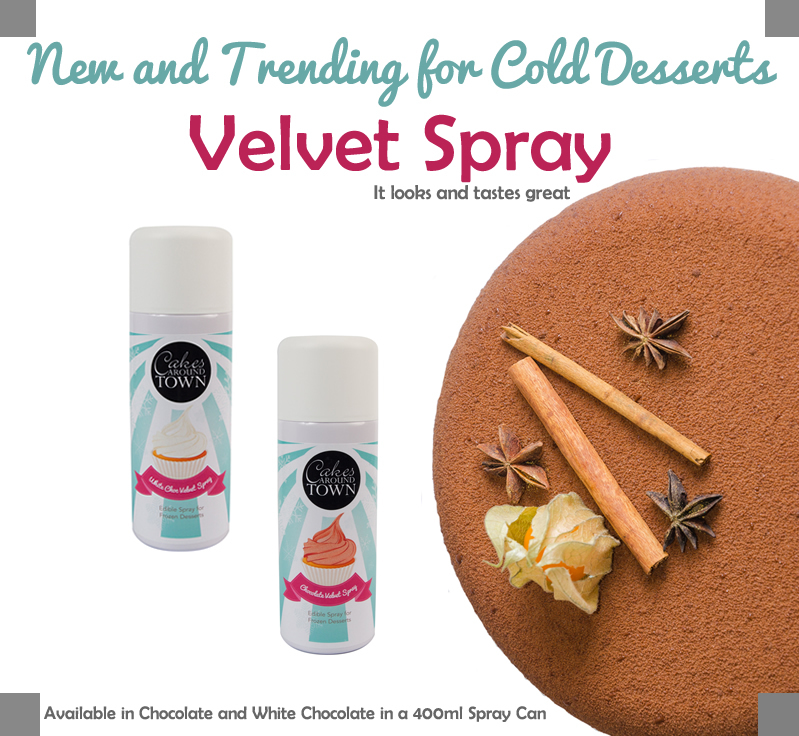 Velvet Spray giving your cold cakes and desserts that velvet finish. Have you wondered how Pastry Chef’s get that soft Velvet Finish to their Mousse and Cold Desserts? Velvet Spray will give you that finish. It is available in a convenient 400ml Spray Can in both White Chocolate and Chocolate. Made in Italy where Desserts are a right of passage! So easy to use simply remove your dessert from the Fridge or Freezer, Shake and Spray gently with Cakes Around Town’s Velvet Spray and serve. Velvet Spray can be used on Ice Cream, Mousse, Semi Frodo to name a few. So easy to use, shake spray and serve! This entry was posted in Latest News, Recipes and Inspiration. Bookmark the permalink.